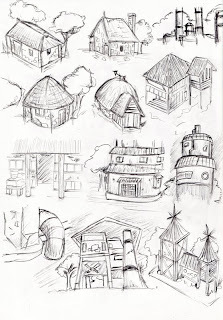 Sketches of village concept art. Need to spend more time thinking through. Hope to do more for the next two weeks.